The Central Valley Flood Protection Board (CVFPB – formerly known as the State Reclamation Board), has been in existence since 1911. CVFPB is the state’s regulatory agency charged with the mission of reducing the risk of catastrophic flooding to people and property within the California central valley – the most flood prone area of the state. The seven voting members of the Board are Governor-appointed and Senate confirmed. Board members bring expertise in the areas of flood control, engineering, water law, hydrology, and environmental stewardship, providing a balanced review and discussion of flood management issues brought before them. Mr. Edgar’s career in government service spans almost 50 years, having served as Assistant City Manager and City Manager for the City of Pleasanton from 1965 to 1977, as Assistant City Manager for the City of Sacramento from 1977 to 1992, City Manager from 1993 to his date of retirement in 1999, and then called back as Interim City Manager in 2011. While in Sacramento, Bill Edgar developed a successful record of inter-agency cooperation during his separate assignments as the Executive Directors for the Sacramento Housing and Redevelopment Agency, the Sacramento Transit Development Agency, the Sacramento City/County Office of Metropolitan Water Planning, and the Sacramento Area Flood Control Agency. Mr. Edgar also served as the first Executive Director for the Sutter-Butte Flood Control Agency from 2007 to 2012 when the Governor appointed him to the Flood Protection Board. Under Board President Edgar’s leadership, the Central Valley Flood Protection Board adopted the Central Valley Flood Protection Plan in 2012, and has been instrumental in furthering the implementation of the Flood Plan. The Board has also made great strides in its enforcement of removing problematic encroachments, and reviewing and approving projects that enhance flood management in the Central Valley.Bill’s contributions to the community have been honored by the American Society of Public Administration, the League of California Cities, the League of Women Voters and the Modern Transit Society of Sacramento. He started up and is continuing as a co-owner of Edgar & Associates, a family accounting firm, which he and his wife started in 1999. Bill graduated from Haverford College in Philadelphia, Pennsylvania, and received his Masters Degree from the University of Pennsylvania, Fels Institute of State and Local Government within the Wharton School. Jane Dolan was appointed to the Central Valley Flood Protection Board on December 30, 2011 by Governor Edmund G. Brown Jr., and reappointed and confirmed in 2014 for a new term. Jane Dolan is a fourth generation native of Butte County. Ms. Dolan served on the Butte County Board of Supervisors from January 1979 to January 2011, serving eight terms representing the 2nd Supervisorial District, encompassing portions of the Chico urban area stretching to the Sacramento River. As County Supervisor, Ms. Dolan has been involved with Sacramento River issues for decades. As a Supervisor, Ms. Dolan was known as one who worked diligently on constituent needs, neighborhood planning, land use matters, numerous areas of public policies and sound fiscal budgeting. She was instrumental in establishing protections for the prime agricultural lands of Butte County, known locally as the Greenline. Ms. Dolan has served on numerous local, regional and state Boards and Committees. Ms. Dolan led the effort to begin the Butte Regional Habitat Plan. In addition to service as County Supervisor, she has been an active member of organizations, including the Chico State Alumni Association, PTA, the Library Advisory Board and the Chico High School Sports Boosters. Ms. Dolan has received numerous recognition and awards for her community service including Special Recognition from the Butte County Farm Bureau, Recognition Award from the Northern California Water Association, the Lifetime Achievement Award for Service to the Community from the Chico Chamber of Commerce, the Circle of Service Award from the County Supervisors Association of California, and has been inducted into the CSU, Chico University Leaders, the Chico Education Hall of Fame, the Distinguished Alumni of Pleasant Valley High School and Distinguished Alumni of Notre Dame School. Ms. Dolan serves as the Executive Director of the Sacramento River Conservation Area Forum, an organization working to identify solutions to the diverse issues along the upper Sacramento River corridor and supporting local private property actions of habitat conservation, agricultural sustainability, protection of critical infrastructure, community safety and recreation opportunities. Ms. Dolan and her husband, Bob Mulholland, live in Chico. 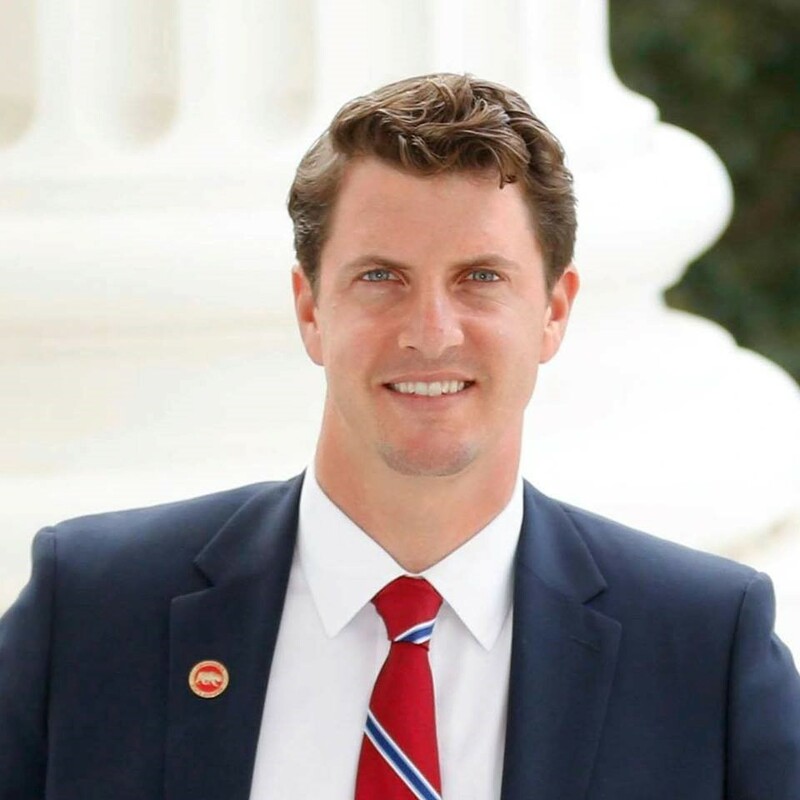 Mike Villines was elected to the California State Assembly in 2004 to represent the 29th Assembly District, which includes the counties of Fresno and Madera. Known as the heartland of California, this region is an agriculturally rich and ethnically diverse part of California. 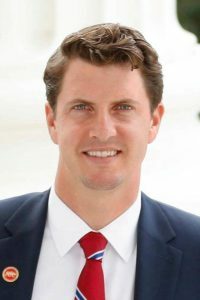 After serving six years in the California State Assembly, which is the maximum service allowed under California’s Constitution, Mike went back to his private sector roots and opened the Villines Group, a Corporate and Government Relations consulting firm with offices in Sacramento and Fresno California. Mike served as one of the longest serving Minority Leaders in recent California history. As one of the “Big 5” (four Legislative Leaders and the Governor), Villines played many important roles, including negotiating 4 state budgets, a state water bond and a state “rainy day” fund. His leadership skills set the tone for his many Bi-Partisan public policy advances, major high-tech tax code reform; major reform in California’s healthcare policy for those with pre-existing conditions; the formation of public/private partnerships to bring public works projects online faster; reform in categorical school funding; and balancing environmental protection with economic development by streamlining regulations that allowed growth in our economy, energy infrastructure and the protection of our natural resources simultaneously. Mike has given Keynote speeches and lectured on leadership, budget/economics, government and accountability at some of our country’s greatest forums, including at the John F. Kennedy Library, “The Rotunda” at the University of Virginia, The Emerging Leaders Program for the State Legislative Leaders Foundation and throughout California at universities and business forums. Mike, along with three of his Bi-Partisan colleagues, was the 2010 recipient of the John F. Kennedy Profile in Courage Award, the nation’s most prestigious honor for an elected public servant. He was also awarded the Legislator of the Year award from the American Legislative Exchange Council. Villines currently serves as Vice President of Corporate and Government Affairs for the State Legislative Leaders Foundation, a nonprofit, nonpartisan, independent national organization committed to providing specialized educational and enrichment programs for the leaders of our state legislatures. In addition, Mike serves as a Gubernatorial Appointee on the California Central Valley Flood Protection Board, which deals with the state’s Levee management policies, and as an Ex Officio Member of the California Bay-Delta Conservancy. Tim was also appointed by the Governor in January 2012 to serve as a member of the Central Valley Flood Protection Board. Tim currently works for the San Francisco Public Utilities Commission as the manager of the Natural Resources and Lands Management Division. Joe Countryman was appointed to the Central Valley Flood Protection Board by Governor Brown on April 2, 2012. He is a Registered Civil Engineer in California and Nevada, a Diplomate with the American Academy of Water Resource Engineers, and received the Award of Distinction from San Jose State University, as well as a Lifetime Achievement Award from the American Society of Civil Engineers. with many years of experience in the fields of hydrology, hydraulics, flood control, flood operations and floodfight management, water supply, water resources development, engineering analysis, and design of flood control and multiple purpose projects. Mr. Countryman’s work and expertise on water projects and studies, as well as his keen analyses and decision-making during critical times of flood management have been invaluable in furthering water management in California, and protecting the public and its property from devastating flooding. Clyde Macdonald, of Sacramento, was appointed to the Central Valley Flood Protection Board on March 30, 2012. Macdonald was chief consultant to California Assemblyman (state legislator) John Laird from 2002 to 2008. He was chief consultant to Assembly Speaker pro Tempore Fred Keeley from 2000 to 2002. From 1997 to 2000, Macdonald served as chief of staff of the Assembly Local Government Committee; from 1996 to 1997 he was minority staff to the Assembly Natural Resources Committee; and from 1982 to 1996 he worked in the Assembly Office of Research. He served as chief of staff of the Assembly Water, Parks and Wildlife Committee from 1976 until 1982 and as staff to the Assembly Water Committee from 1975 to 1976. Macdonald was a program analyst in the Office of the Legislative Analyst from 1971 until 1975. He served three terms as a publicly elected member on the board of trustees of the American River Flood Control District (Sacramento) from 1994 until 2006; he was one of the district’s appointed members to the board of directors of the Sacramento Area Flood Control Agency from 1994 until 2006. Macdonald earned an MBA from the University of California, Berkeley, and a BS in Engineering from UC Davis. He is a registered civil engineer. The Board also consists of two legislative, ex-officio, non-voting members representing the Chairs of the Senate Committee on Natural Resources and Waters (Senator Robert Hertzberg) and the Assembly Committee on Water, Parks, and Wildlife (Assemblyman Eduardo Garcia). As of January 2019, Senator Stern is the Chair of the Senate Natural Resources & Water Committee, as well as an ex-officio Board Member of the Central Valley Flood Protection Board. A sixth-generation Californian with family roots in agriculture and entertainment, Senator Stern was elected to represent the 27th Senate District, which includes parts of Los Angeles and Ventura counties, in 2016. A former civics teacher and environmental lawyer, Stern is the first millennial elected to the California State Senate. He enjoys volunteering at his local Boys & Girls Club, hiking, surfing and cooking. Stern is an alumnus of Harvard University and UC Berkeley Law. Assemblyman Eduardo Garcia proudly represents California’s 56th Assembly District. Elected in 2014, Garcia is the current chair of Water, Parks and Wildlife. In this capacity he oversees some of the state’s most pressing issues, such as drought conditions, and the implementation of the multi-billion dollar Proposition 1, Water Bond passed by voters in 2014. 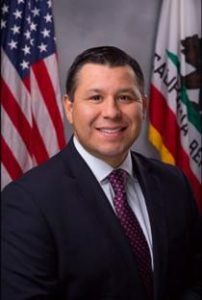 In his first term, Garcia was appointed to chair the Assembly Committee on Jobs, Economic Development, and the Economy. As chair, Garcia was responsible for leading the Assembly’s review of policies and legislation related to small business development, international trade, and other state and local economic development related issues to help create a more robust and inclusive economy. A graduate of local public schools, Garcia attended Coachella Valley High School and the University of California, Riverside. He also completed the “Senior Executives in State and Local Government” Public Administration program from the John F. Kennedy School of Government at Harvard University and earned a Master’s Degree from the University of Southern California School of Policy, Planning and Development. Garcia was first elected to the Coachella City Council in November 2004. In 2006, at the age of 29, he became Coachella’s first elected Mayor. Under his leadership, the City of Coachella flourished into an emerging economic and cultural center of the Coachella Valley. Click HERE for the policy regarding Board member participation on Committees and Liason Assignments. Click HERE for a chronological history of Reclamation Board/Central Valley Flood Protection Board members.